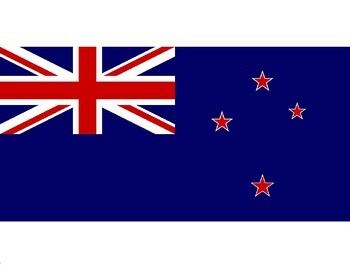 FREE - New Zealand Resources - New Zealand Flag. PDF prints as 8.5" x 11". Flag is proportionately less than full 8.5" x 11".